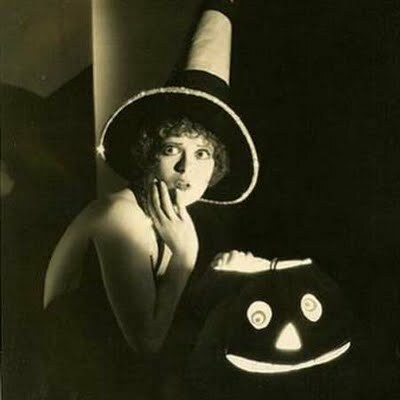 This entry was posted in Gothic, Halloween, Vintage, Witches and tagged cheese cake, Halloween, Halloween fun, Halloween Hotties, vampires, vintage, witches. Bookmark the permalink. I do love witches so. I’ve long suspected I’ve got a little witch blood in my veins. You do have that magic in you! What is it that makes us want to superimpose witches over lovely femme fatale s ? I have long wondered whether this has something to do with the dark side of guilt that we carry within? It has everything to do with fun and dressing up in silly costumes and imagining a different sort of place where there is magic and all sorts of silly stuff. 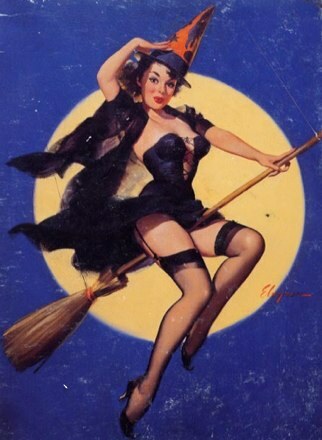 Plus the tradition of pin-up girls always takes on holiday themes, including Halloween. Yes she is. I featured her on the first Halloween Hotties witch post. Check out the links and you’ll find her there. 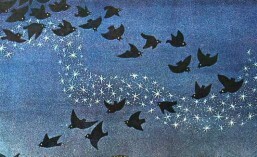 She was beautiful, bewitching and a class act all the way!